What a strange Wednesday at the Cannes film festival. When you thought the news couldn’t get any more mind blowing, comes possibly the biggest news of the entire festival. Danish film director Lars Von Trier dug himself into a hole deeper than the Chilean miners. During a press conference to promote his film Melancholia, which stars actress Kirsten Dunst , Lars Von Trier confessed to the audience that not only does he sympathize with Hitler but he was in fact a Nazi. The statements were said with a light hearted attitude but disturbed many in the audience. Almost as quickly as the words flew out of his mouth, articles were being written throughout the world. As the news spread the backlash began to grow. The video of the event can be viewed below. A dinner party and beach front gala were planned to promote the film in an attempt to showcase it to potential distribution companies. After the news of his comments spread like wildfire, both events were subsequently canceled. Despite this negative press, the film still managed to be successful among many festivalgoers. After the film screening, the crowd reportedly clapped for three minutes straight. This type of thing simply reiterates the old saying, “any press is good press.” Despite his unpopular remarks, his film still went on to be pretty successful proving that either people don’t take Lars Von Tier seriously or that the film was just THAT good. In my opinion I believe that personal politics have no place interfering with a film. A film is a compilation of hundreds of people working together to create a great work of art. Although I disapprove of the views and opinions of Lars Von Tier I believe that his film shouldn’t suffer for his outburst of incompetence. A great example of the type of negative buzz a person can exert on a film comes from none other than Mel Gibson. Nobody can forget his memorably offensive antisemitic rants. Almost every film project that he has been in since that day has failed horribly. Most recently, his film The Beaver performed terribly at the box office. The film was not written or directed by Mel Gibson but his very presence in the film destroyed its chances at success. Its safe to say that Mel Gibson’s career is pretty much over. 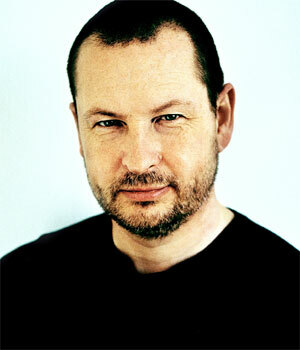 What do you think on the comments of Lars Von Trier? Join the discussion and leave a comment below.